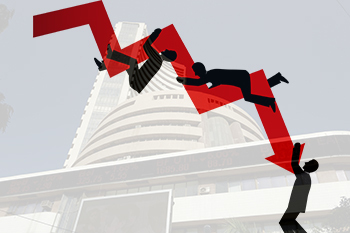 Why are mid-cap and small-cap indices falling sharply? During CY17, the Midcap Index was up 47% versus 28% on the Nifty. Mid-caps have outperformed large-caps by over 40% in the last three years from 2015 to 2017. During CY17, the Midcap Index was up 47% vs. 28% on the Nifty. Mid-caps have outperformed large-caps by over 40% in the last three years from 2015 to 2017. So, the major part of the decline is to do with the earlier outperformance in many low-quality businesses. In October 2017, the regulator has identified portfolio characteristics within the categories. So within equity funds, large-cap funds can invest in the top 100 listed companies based on the average full market capitalisation of the previous six months, mid-cap funds can invest in the 101st to 250th company, and small-cap funds in the 251st company onwards. The equity mutual fund scheme, i.e, a large-cap scheme should have minimum 80% investment in large caps and a mid-cap fund should have at least 65% of its assets in mid-caps. This led to mutual funds churning their portfolio, resulting in several mid-cap stocks exiting the portfolio. Argentina, Brazil and India benchmark equity indices are flat to positive, while their mid-caps have fallen more than 10% as their currency has depreciated more than 6%. Further correction is possible as historically, in the financial years preceding all general elections, the rupee has seen a weakening trend with an average depreciation of 7-8%. But investors should utilize declines to accumulate quality stocks whose ROCE is in increasing trend (above 30) plus Promoter and Mutual fund holding is greater than 80-90%. And to hedge the mid-cap portfolio Beta, calculate Beta, hedge with LEAP year option. This hedging strategy can help avoid losses, or cut them, if the market falls. This is simple strategy to protect deep losses. But it is not easy, as it requires expert skills to analyse: "Implied volatility, Delta, Time Decay and Assignment Risk ". Additionally, practical knowledge in selection of the strike price is also required. Hence, traders and investors are advised to do these unique strategies after knowing their risk management through Derivative expert only.